the origin of the creation. Turiya (bindu) : The absolute truth which transcends everything, the universal and pure consciousness. Maya: the veil of ignorance, of illusion, the link between the finite and the infinite. 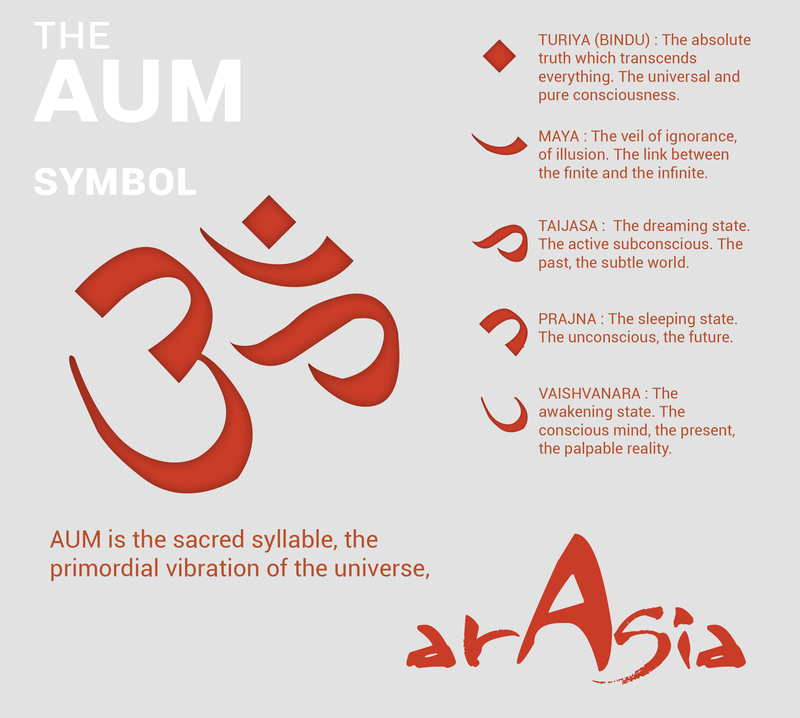 Taijasa: The dreaming state, the active subconscious, the past, the subtle world. Prajna: The sleeping state, the unconscious, the future. Vaishvanara: The awakening state, the conscious mind, the present, the palpable reality. 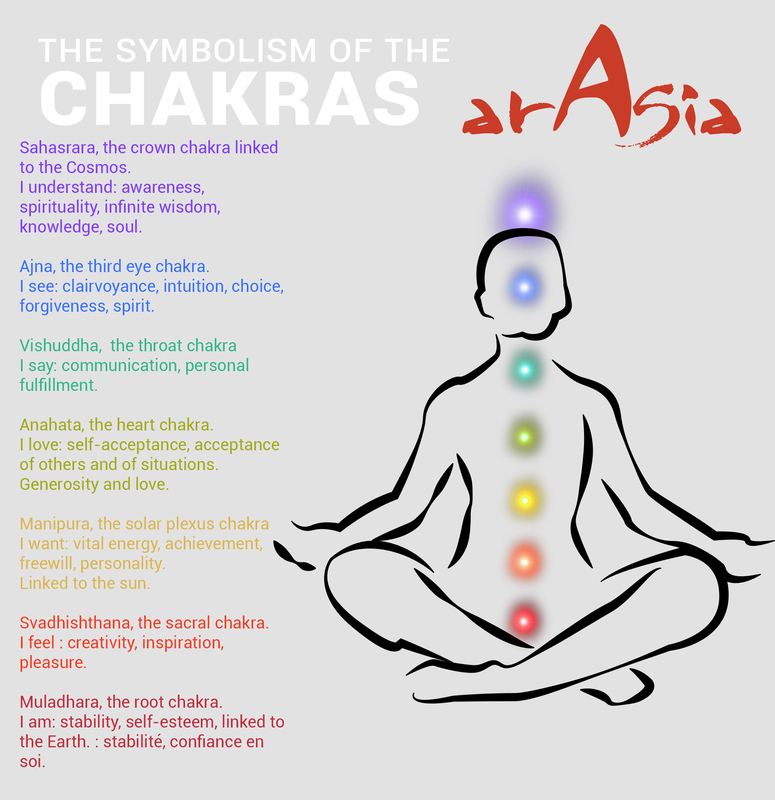 Sahasrara, the crown chakra, is linked to the Cosmos. I understand: awareness, spirituality, infinite wisdom, knowledge, soul. I see: clairvoyance, intuition, choice, forgiveness, spirit. I love: self-acceptance, acceptance of others and of situations, generosity and love. I want: vital energy, achievement, freewill, personality. I feel : creativity, inspiration, pleasure. I am: stability, self-esteem, linked to the Earth. The fruit basket represents the universe at our feet that is to be discovered but also the importance of sharing and giving. A small mouth because he talks little. The bowl of treats is the reward for the hard work, the sweetness that accompanies the seeker of truth. Sitting on his mount, the rat Mûshika, Ganesh put all his weight on futile thoughts that swarm like rats in the dark. Ganesh symbolizes the macrocosmos, the infinitely large and Mûshika embodies the microcosmos and the infinitely small. The rat is generally in the shadows, rarely visible but always at work. 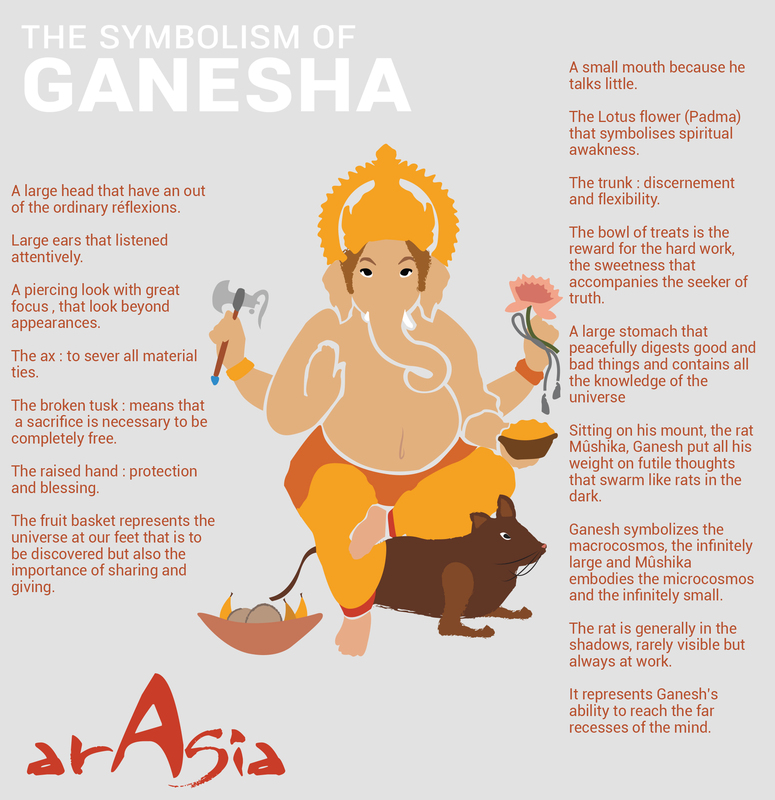 It represents Ganesh’s ability to reach the far recesses of the mind.